Treadmill scouting can be a pain sometimes especially if one’s choices are neck and neck with each other, even the price range. 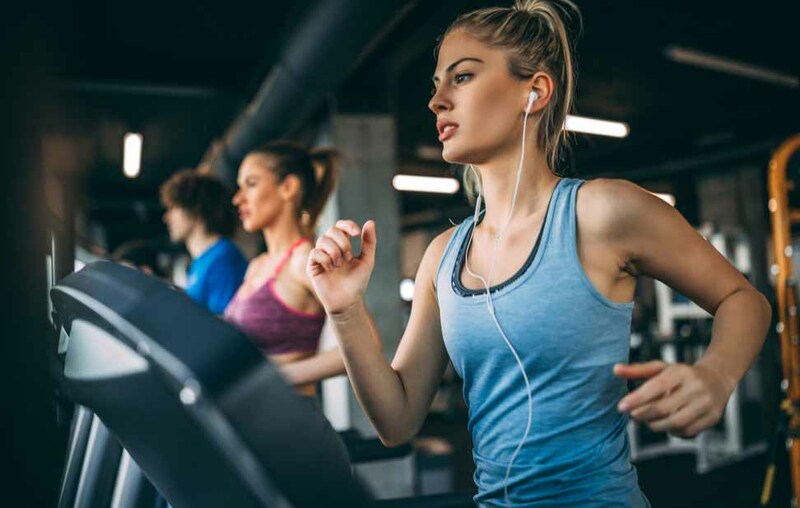 Treadmills with different features are easier to choose from, as long as the users know exactly what they need, what they want, as well as their limitations such as space, budget and storage. Products with almost the same features are harder to choose from but like they say, no two different products are the same. They just need to look more closely to determine which one is better than the other. The Sole F63 and Smooth Fitness 5.65 have almost the same competitive features which make them direct competitors in the market. Aside from being in almost the same price range, these treadmills both have 2.5 continuous horsepower motor best suited for walking and running workouts and can withstand long hours without stressing the machine. Both treadmills have the same deck size of 33 x 75 inches with the same foldable features that is meant for more convenient storage. They have 20 x 55 inches treadbelt that is long enough for an average height person to walk or run comfortably. Their height, however, differs a little with the Sole F63′s height of 58 inches which is slightly taller than that of Smooth Fitness 5.65′s 52-inch height. The Sole F63 is also heavier than the Smooth Fitness 5.65, with the former having 245 pounds weight with 325 pound maximum weight capacity versus the latter’s 191 pounds with 275 pounds capacity. Both of these treadmills offer many similar features such as shock absorption and cushioned running deck which minimizes the noise level of the motor, single window LCD screen, built in speakers with an MP3 or iPod connector, hand grip heart rate monitors with wireless chest strap heart rate monitors and built in cooling fan. The Sole F63 has no featured heart rate control programming wherein the Smooth Fitness 5.65 has which automatically adjusts to keep the user within a targeted range. Their programs vary too, however, because the Sole F63 has six workout programs plus a bonus of two customized workout while the Smooth Fitness 5.65 has eleven preset workout programs, one customized workout, a single heart rate control workout and a manual workout. The Sole F63 is obviously built for a heavier walker or runner than that of Smooth Fitness 5.65. This may help in the factors determining their differences. Maximizing each workout session is an integral part of doing exercises. Of course, everyone would like to get their money’s worth. But how to achieve it? It’s up to the treadmill of your choice. Would you like it sturdier? Heavier? With a little more features? Should it be a little lower on the price? Or higher with all the add-ons? Should it come with better warranty? And so it goes… One would never know until they weigh their options really well and look closely at the differences versus what they or they do not need. How does one go about finding the perfect treadmill in the market? What do people specifically look for? Their preferences may have something to do with the various sizes, features, speed, incline, weight capacity, storage convenience, price tag, warranty and many, many more. Others would like state of the art gym-like equipments with all the added fun but at the same time, more practical features, but some would just like a simple treadmill that simply enables them to walk or run at their own time, pace and do their own fitness routines without having to go to the gym. The Sole F63 and the Schwinn 840 treadmill models are just two of the treadmill products that has features that nearly resemble the other. They are different in a few aspects but most likely similar in a lot of ways. The Sole F63 is a folding treadmill with a phenolic deck size that measures 33 x 75 inches. It has a 2-ply treadbelt with a measurement of 20 x 55 inches that comes with 2 ½-inch sized rollers. Its maximum speed limit is up to 10 miles per hour with a maximum incline capacity of 15% with rack and pinion design for the gear. It also has hand pulse grips and shock absorption features. Its 6.5 inches LCD has a single window screen display that has integrated speakers and MP3 or iPod plug ins. It also shows tracking of speed, time, pulse, pace, calories and distance. To top everything off, there are six workout programs installed in this machine, with additional two slots for custom workouts. Its maximum weight limit is 325 pounds and when assembled, can easily fold up to 68 x 43 inches for convenient storage. The Schwinn 840 is also a folding treadmill with Softrack suspension deck that hepls reduce strain to the joints. It also has a walking area of 20 x 55 inches. Its speed settings can range from 5 to 10 miles per hour that can be converted to kilometers. On the other hand, its incline adjustment can only be to a maximum of 10%. It also comes with a telemetric and grip heart rate monitoring system. Its workout programs are equal to sixteen (16) with custom workout capability. These include 6-course profiles, calorie goal and Quick Start. It also has fitness monitoring features such as distance, time and calorie burn. One’s comfort and convenience are also included in its features such as water bottle holder, magazine rack and cooling fan. It has a multi-color dual-screen consoles and cushioned running surface which the Sole F63 model do not have. As for storage, it has a SoftDrop technology and folding frame for folding and storage convenience that also comes with transport wheels and has a safety key. The maximum weight limit, however, is lesser than that of the Sole F63 model which is 300 pounds. Both treadmills are operating on minimal noise and most logically, do not offer nutrition or dietary advice. Treadmills are popular as exercise equipment since it offers a comparatively wide range of work out options and types. For most people, it is a safer alternative to outdoor running in consideration of the changing climate or road conditions. There are two treadmills that come to mind immediately, the F63 and F80. They are both highly recommended as home exercise and workouts for their size, power options available. These two are almost in the same category except that there is a roughly $400-$500 price difference that separates them and a lot more. It pays to look at the comparative analysis of SoleF63 and Sole F80. When you are at the store scouting for one, the first thing that the sales person would probably sell to you is the treadmills’ continuous horsepower as this is probably the most important feature. When the motor gets busted for using it beyond what is designed for, nothing in the equipment will work at all. Sole F63 is built with 2.5 CHP while Sole F80 can reach up to 3.0 CHP. This means that with Sole F63 you can do jogging whereas Sole F80 you can really run and not stressed out the machine at all. The choice of machine’s motor will have to be influenced by the weight of the user or the group of users, as this can be a family exercise machine. The Sole F80 can withstand 5 pounds more weight and support up to 350 pounds while the Sole F63 can only allow up to 325 pounds. If the machine will be used by more than one member of the family, be ready to add more horsepower on the equipment. As a general rule, the larger the rollers the better it will be for the machine. Rollers are a major component of the treadmill and it helps determine the life of the tread belt and the tread bearings. With large rollers, the tread belt is not forced to bend as sharply as those with smaller rollers. Not flexing much, the tread’s support fibers will stay cooler and eventually live longer. The rollers that go with the Sole F80 are a quarter inch larger in diameter, measuring 2.75”. On the other hand, the Sole F63 has 2.5” rollers’ diameter. On the issue of speed that can burn out the machine, between Sole F63 and Sole F80, the latter offers mileage speed faster than the former. The Sole F80’s maximum speed is 11MPH while that of the Sole F63 can bring you only 10MPH as fast. If you are a jogger and do not need the speed on your work out, the Sole F80 may be too much for what you need and it may not justify the shelling out of the additional dollars. As this is a good cardiovascular workout machine, you would want to have a pre-programmed equipment that will pace with your workout routine and take due consideration for the rate of your heartbeat. If you heart rate gets too high, then you might be getting into more trouble than health benefit. If your heart rate is not changing at all as compared to just sitting down, then your machine may not make you progress towards your goal. The Sole F80 comes with 2 heart rate control programs. This feature is not part of the Sole F63 machine. Both machines are great space savers at home because they are foldable and can be stored right away in your closet. The Sole F80, though, has an added feature that is called Easy Assist that makes it easier for user to unfold the equipment. All the user has to do is release the deck and the equipment will unfold itself down on the floor. In summary, various treadmill models have been manufactured to suit the physical needs and the budget of the buyer and user. In choosing between the match of Sole F63 vs Sole F80, think of the treadmill as an investment in your health and long life. With that in mind, you can make a sound decision on which one to buy. For those looking for cardiovascular exercises, walking is the first thing that comes to mind. Walking offers numerous physical benefits while it tones the muscle and burns fat calories. Since walking is not possible all the time due to varying weather and road conditions, treadmills are the perfect alternative, since they provide the same benefits while in the comfort and safety of a person’s home or office. The Sole F63 and Horizon Fitness T101 are both popular treadmills equipment. When compared side by side, the Sole F63 vs Horizon Fitness T101, shows several differences that a buyer must know so he can make a wise buying decision. Although both equipment offer a host of features you can find on mid to high-end consumer treadmills, the Sole F63 is much more favored in consideration of the better running surface and power as compared to Horizon Fitness T101. In terms of design, the Sole F63 treadmill’s dimension outweighs that of the Horizon Fitness T101. The former measures 33 inches in width, 75 inches in length, and 58 inches in height. The longer and wider the surface, the better it will be for tall trainers to run comfortably on the machine. The Horizon Fitness T101, on the other hand, measures 71 inches long, 33 inches wide and 55 inches in height. The two machines found similarity in their maximum speed limits with range from 0 to 10 miles per hour. However, when it comes to simulating a hill training environment, the Sole F63 offers a higher inclination capability of up to 15 percent. The Horizon Fitness T101 only allows an incline range of up to 10 percent. The incline capability of treadmill is something to think about especially when you are the type of trainer who looks forward to a variety of walking difficulty. The more uphill the treadmill is, the more difficult it will be for the runner. Through that, there will be more likely a chance for the trainer to burn more fat calories in the process. When it comes to pre-set workout programs, the Sole F63 only comes in second with 3 programs short, having only 6 workout programs. The Horizon Fitness T101 offers a variety of 9 workout programs. The extra workout programs may just be a deal breaker for those who enjoy a variety of programs to use without having to worry about pressing many buttons. The Horizon Fitness T101 is designed to handle up to 300 pounds which is 25 pounds lower than the capacity of Sole F63 with a weight capacity of 325 pounds. The weight your machine can handle also speaks for its ability to withstand intense training on the treadmill. With the Horizon Fitness T101’s 2.25 continuous horse power, it lags behind the Sole F63 treadmills’ 2.5 continuous horse power. If you are a trainer who enjoys leisure running and is just trying to get in shape, a higher CHP on your treadmill machine may not be that crucial. However, if you are a serious runner and will be using the machine faster than the normal speed, go for the one with higher CHP so as not to wear out your machine easily. Both the Horizon Fitness T101 and Sole F63 offer lifetime warranties on their treadmill motors and frames. But for parts and labor, Horizon Fitness T101 offers a 1-year warranty on parts and labor while the Sole F63 warrants the electronics, belt and rollers for three years and labor for one year. 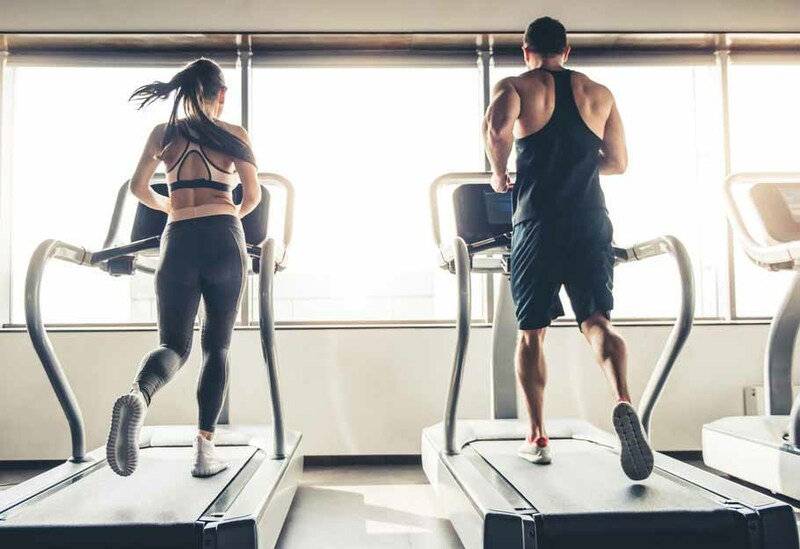 Depending on your needs and budget, the general rule is that spending more on a treadmill will usually include improvement on horsepower and better features. As you scout for the best machine for you, look also for the one that will match your pace and specific workout routines.